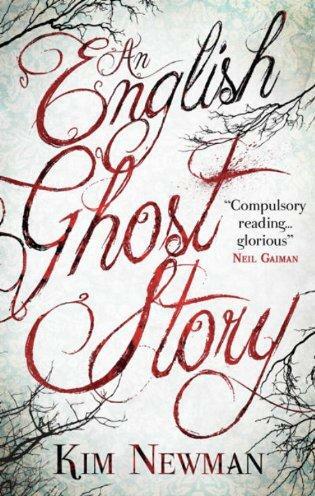 An English Ghost Story by Kim Newman was different from any other ghost story I’ve ever read or seen on film. The ghosts are cool and there are plenty of spooks and scares to satisfy even the pickiest ghost story reader. However, there is also a deep message about family bounds and how this particular family can endure pain, hardship, and multiple issues, but still come out of it with their souls and lives intact. The tale is about a modern family who buys a house in the country that once belonged to children’s book author, Louise Teazle. When they move in, all of her stuff is still there and thus begins a fun scavenge for things she once held dear, many of which appeared in the pages of her books. What a dream for an avid reader, to own a house with an author’s personal belongings still intact. What a dream for many of us, no matter how unrealistic that is in today’s world with everyone money hungry over bestseller’s unpublished manuscripts, but still a fun concept. There are four distinctive voices in this book and I loved and despised each of them at different times, sort of like you do your own family. You will find someone to take this crazy, strange, wonderful, horrifying ride with. Frequent point of view changes kept me interested as each member of the family experienced different occurrences and reacted in their own ways. The author did an awesome job of weaving each section of the book in a way that not only showed the family in different mental states, but forced me as the reader into these same mental states. When they first got the house and were excited about moving in, I was excited by the discovery. When they were confused seeing ghost things happen, unable to decipher quite what they meant, I was there, just as confused as they were, trying to put the puzzle pieces together, but coming up short. I really enjoyed how there are mini books inside the main book, one of them a children’s book by the famed Louise Teazle. The family and visitors talk constantly about the children’s series and to be let in on one of the texts added a little fun for us book lovers and a bit of whimsy apropos for a children’s book author like Louise. I found two parts in this book particularly scary and I’m hard to freak out. Without giving away any spoilers, I’ll just say the way dad gets into the closet and what mom puts in the top drawer of the little dresser near the end will stay with me for years to come. Great chilling read with a message we all need to hear.